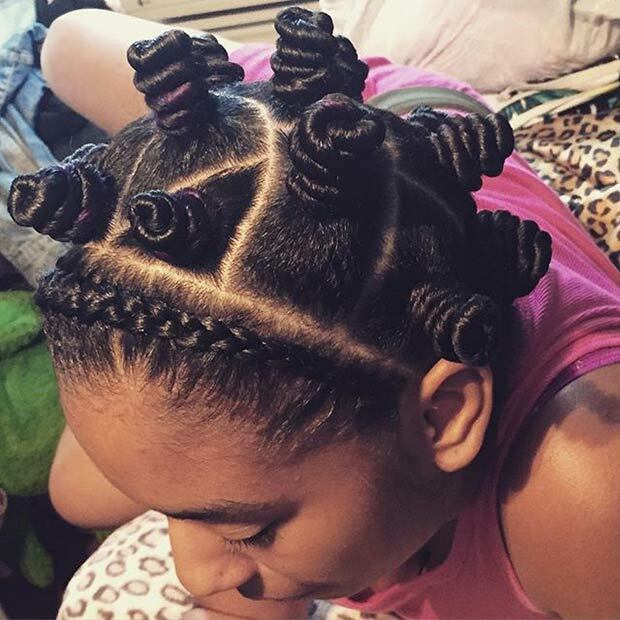 If you follow fashion and beauty news, you know the 1990s are back, and so are the bantu knots. The style was a popular 90s look that can be worn on any hair length and any hair type. Whether your hair is natural or relaxed, you can rock this style in two ways – as is or unraveled into bouncy, full curls (bantu knot out). 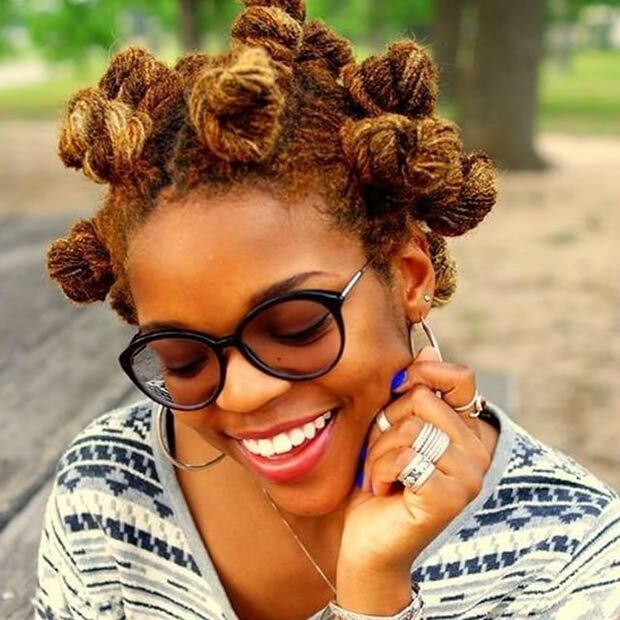 Bantu knots are styled by separating hair into sections, then twisting those individual sections into tiny knots. You can section and twist your hair into small bantu knots for a super curly afro, or opt for the big knots for a huge, fluffy hair. The best part? Bantu knots are a great protective style since they keep the ends tucked away. In case you need more reasons to try this style – it is super easy to do and costs very little or nothing at all. 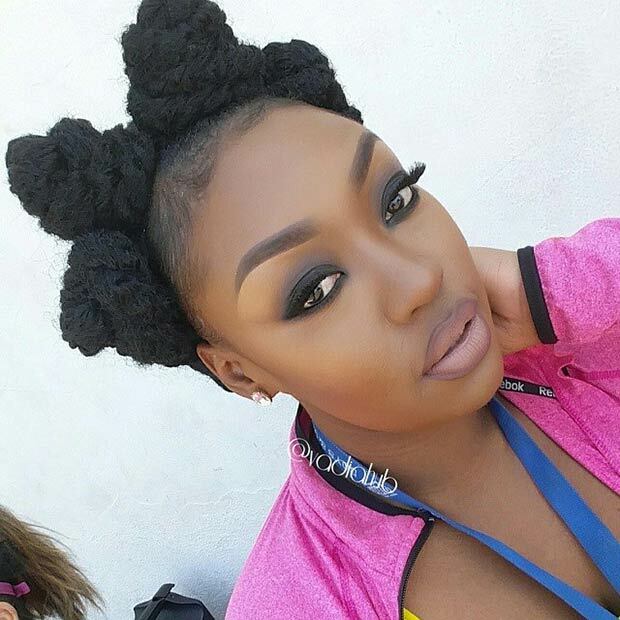 Here are 25 gorgeous looks that will make you mad for bantu knots. Enjoy! Here is a stunning protective look for all natural-haired ladies. The style will add an instant dose of chic to your everyday look. Make sure to give it a go! Heading to a music festival? Festivals and concerts are a great time to ditch your go-to looks and experiment with new styles. 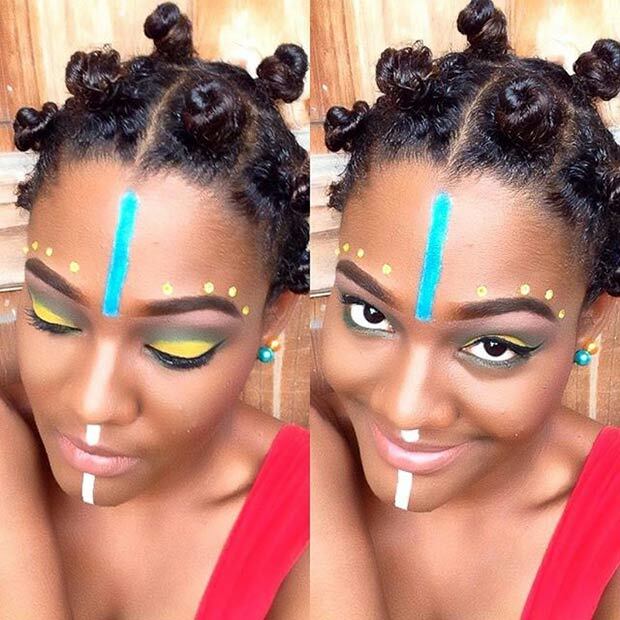 Bantu knots will make you stand out, especially if you complete the look with a bold and colorful makeup. 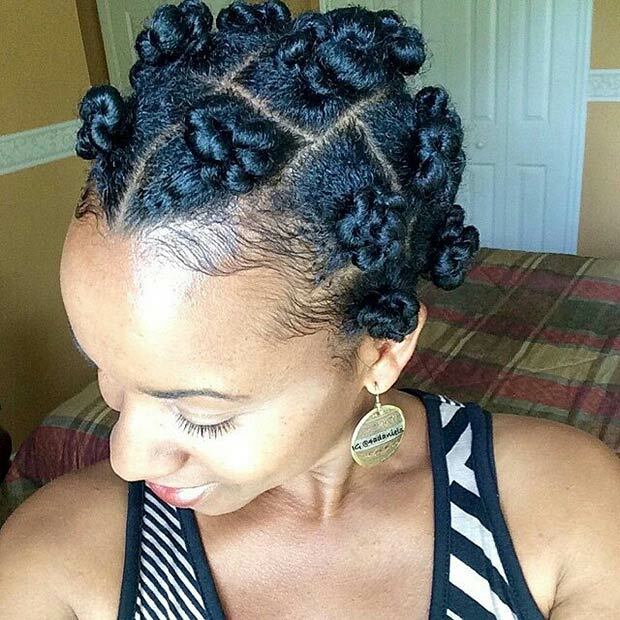 Try something totally new and turn your braids into medium-sized bantu knots! Elevate your look with hair accessories like sparkly gold chains or cute headbands. Life is too short for boring hair, right? To achieve this look, you need to twist the hair loosely. Use pins to secure the knots and keep them lasting longer. Get creative and put your own twist on this style – make the knots bigger or smaller, twist them, braid them, or add a pop of color… possibilities are endless. Not all women love headbands – they can be too big and colorful or they can damage your hair and cause a headache. 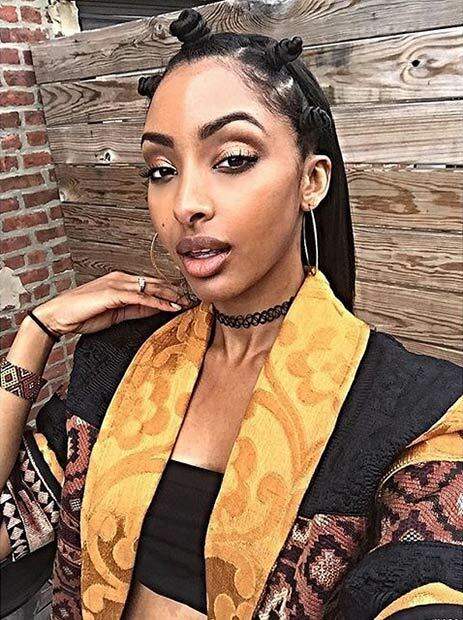 The next time you’re craving a headband style, simply section your hair from ear to ear and create 4-5 bantu knots. The knots will keep your hair out of your face in a stylish way. Sisterlocks can be super fun to style, too. 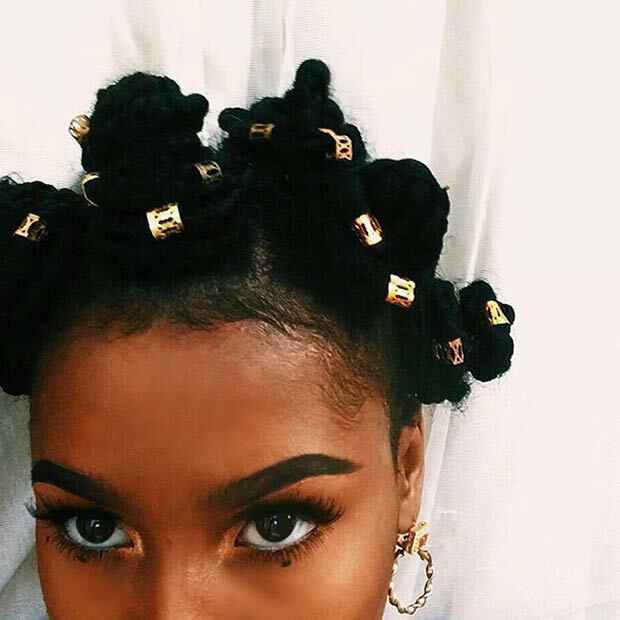 If you’re looking for a cute way to keep your sisterlocks away from your face, or just want to change your look, try bantu knots. They can make you feel like a new woman! 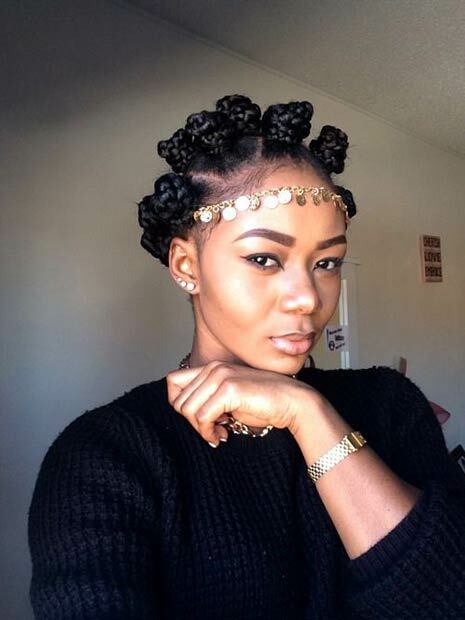 Give your bantu knots a glamorous touch with gold hair cuffs – hair jewelry that can completely transform your look. They will give your knots that extra boost they need. Why choose just one protective style when you can combine them? 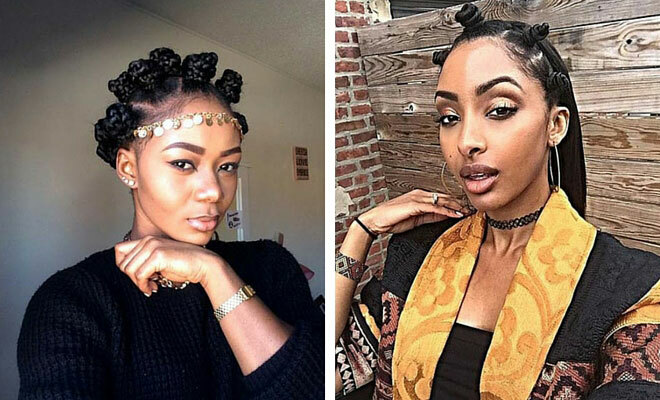 Combine your bantu knots with other protective styles like braids and twists for a funky updo. If you’re heading to a formal event, this is the perfect hairstyle to show everyone that you’re bold, different and ready to have some fun. 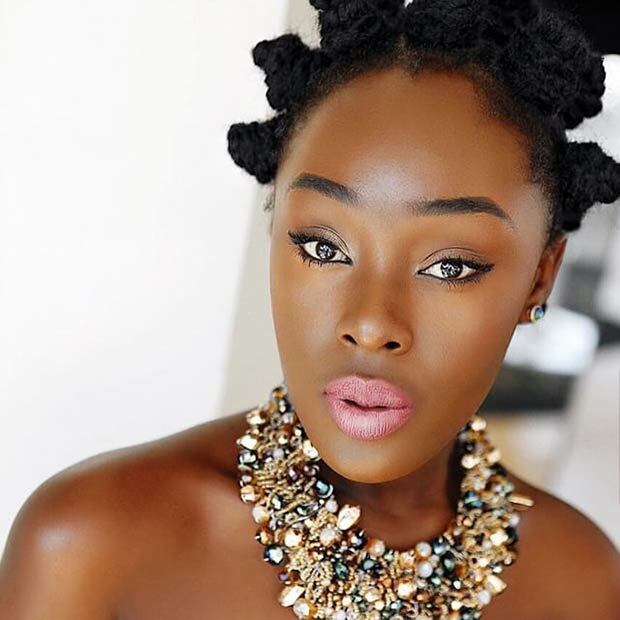 With the right outfit and accessories, bantu knots can be suitable for any special occasion. Who said bantu knots are only for long-haired women? 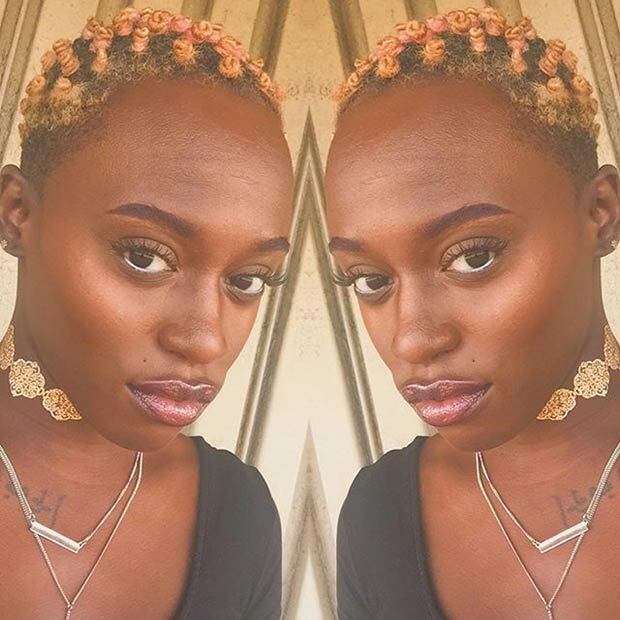 Short hair shouldn’t be a reason not to style your hair and experiment with knots and braids, even if they are micro size. This is the best site for females. Thank you for the great post. Bantu knots are so exotic and flexible as they are always eye catching and refined. Be bold ladies and experiment with this simple style.